How much is poor customer experience costing you? 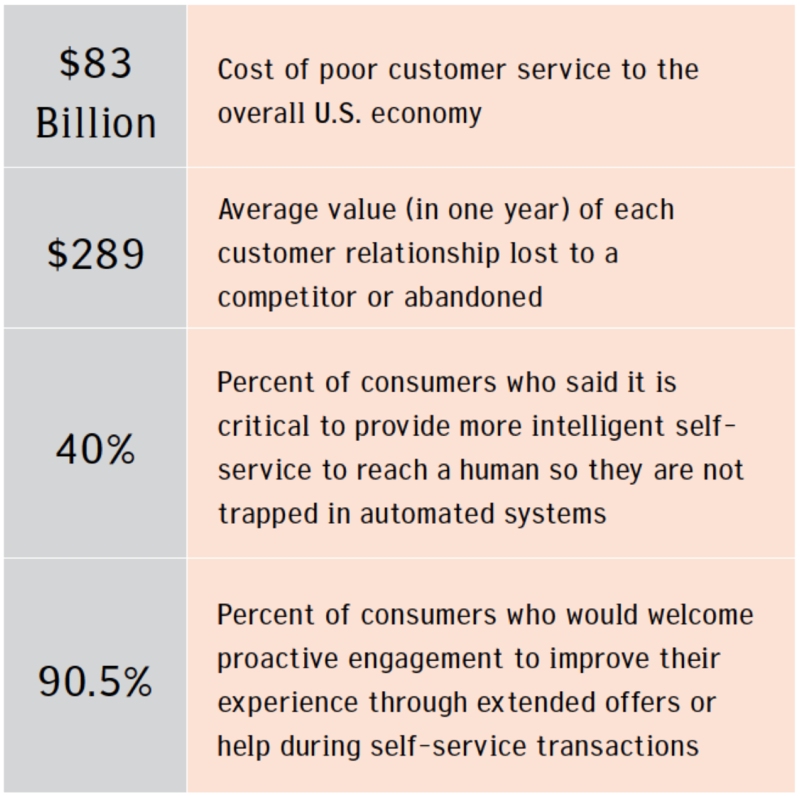 Source: Genesys Research: "The cost of poor customer service"
Genesys conducted research to determine some of the hard costs associated with provision of poor service in the US. They found than $83 billion annually is either lost to competitors or lost for good as consumers are so turned off they don’t buy at all. So why are customers leaving? Add to this other research that has shown the number one reason customers leave a business is because they believe the business simply does not care about them and their business. The number 1 factor involved in a great customer experience cited by the Genesys research was an interaction with a competent, knowledgeable customer service person. I would add to this a customer service person that actually cares about getting the right outcome for the customer. Do all of your staff understand the importance of great customer service? If it costs businesses $83 billion a year, how many jobs could it save? This entry was posted in customer focus, Customer Satisfaction, Customer Service, Customer Value, Customer-Centricity, Uncategorized and tagged Customer Service: Customer Experience;Research. Bookmark the permalink.